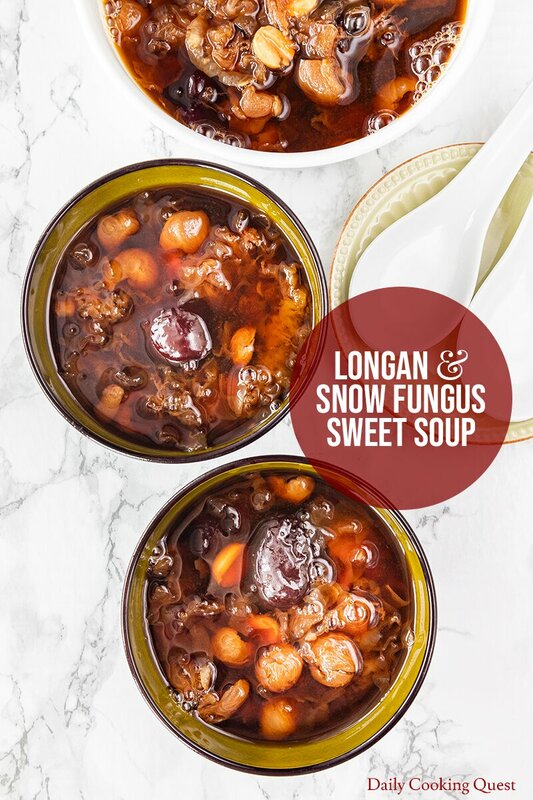 Longan and snow fungus sweet soup is a very basic but very delicious Chinese sweet soup. 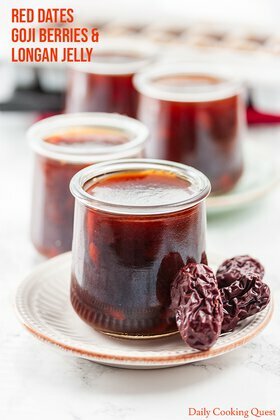 This sweet soup can be served hot when the weather is biting cold, and it is also amazingly refreshing served chilled during hot summer days. Incidentally, this dessert soup is vegan friendly, and gluten-free. 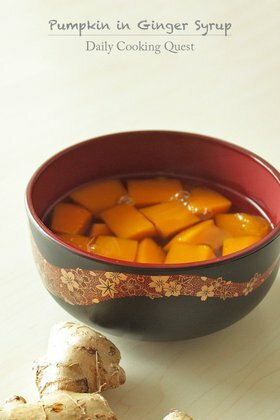 Also, all the dried fruits used in the soup lend enough sweetness, and most of the time I don’t even add any more sugar to this soup, talk about healthy! 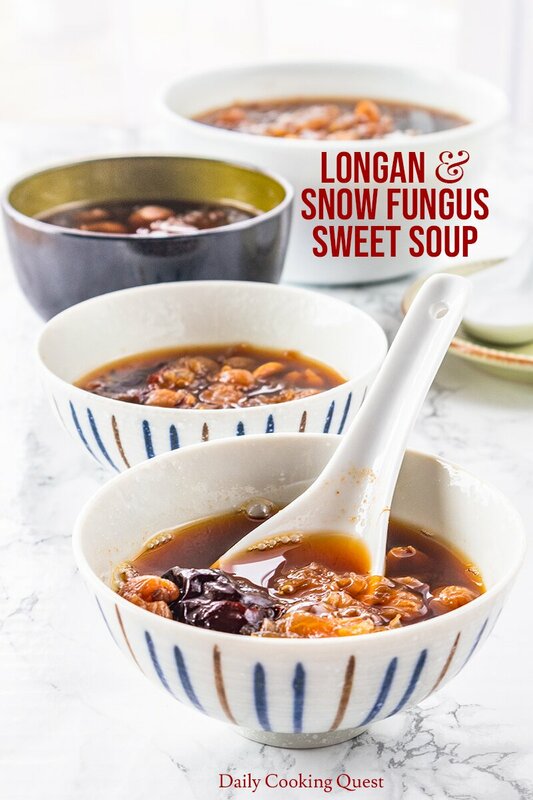 I treat this sweet soup as healthy dessert, and as such, I try to steer clear from adding unnecessary ingredients, even sugar. 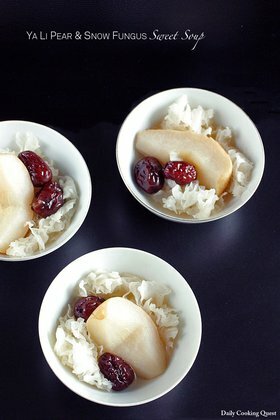 But if you find the soup lacks sweetness, you can try adding rock sugar or palm sugar. 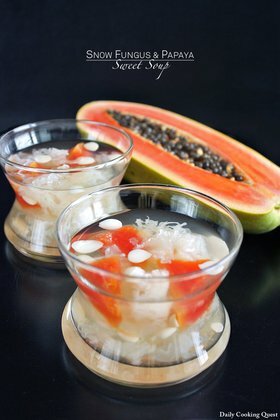 A better alternative though, is to add even more ingredients to the soup which add natural sweetness, such as peach gum, monk fruit/luo han guo, candied winter melon, and dried persimmon. If you choose this alternative, simply add them with the rest of the ingredients when boiling the soup. Originally published on December 8, 2013. 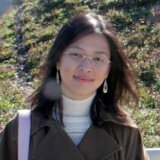 Updated on April 22, 2019 with new photos. Cut off small pieces from the snow fungus with a scissor. Discard the yellow tough center. 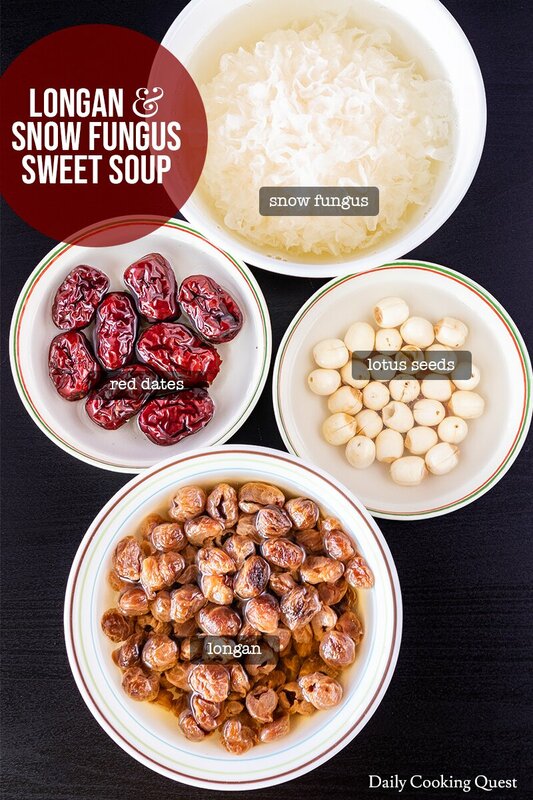 Place the snow fungus, longan, lotus seeds, jujube fruits and water in a soup pot. Bring to a boil. Reduce heat and simmer until the snow fungus is soft, about 1 1/2 hour to 2 hour. Test for the level of sweetness and only add rock sugar/palm sugar if needed. Stir until the sugar is fully dissolved.